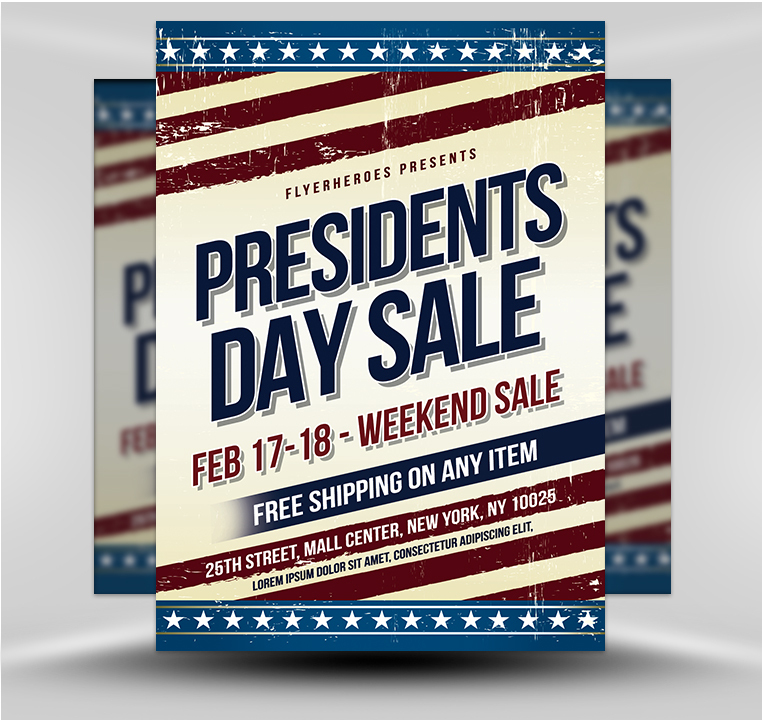 Utilize actors dressed as Abe Lincoln and George Washington to distribute the flyers in front of stores, strip malls, hair salons, laundromats, parks, schools, community centers, libraries, and churches. Tuck miniature American flags and flyers into envelopes to create a mass mailing via postal mail. 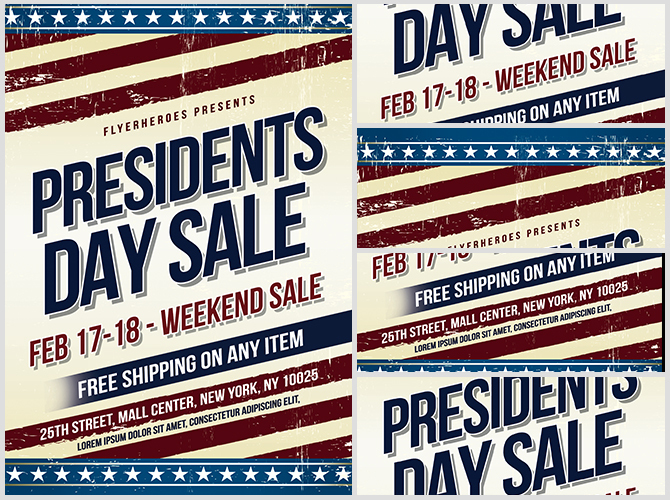 Insert the flyer’s image into e-newsletters and special President’s Day Sale e-mail messages. 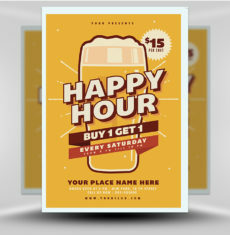 Post the flyer in social media posts on all of your store’s social media platforms. 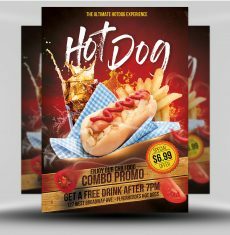 Post the flyer on your store’s website. At a setting where foot traffic is heavy, hand out flyers and cupcakes frosted with red, white, and blue frosting on the day of the sale. 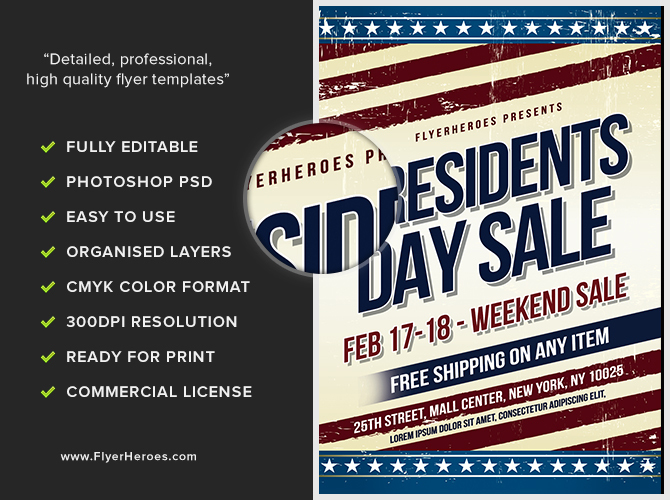 Use the flyer to create a promotional Presidents Day Sale postcard to send out. 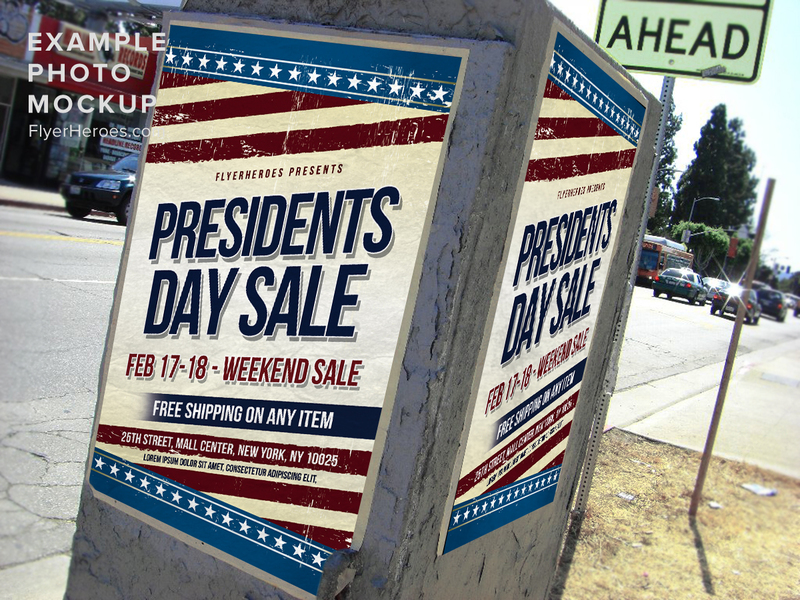 Post a giant version of the flyer on neighborhood bus shelter display glass. Tuck the flyers on the windshields of cars parked at the local mall. 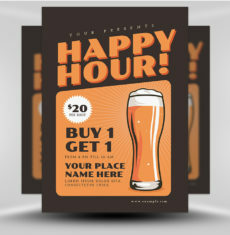 Hand out flyers and red, white, and blue candy in front of a popular restaurant or club.